We regularly assist companies with the preparation of IFRS documents, including balance sheets, income statements, cash flow statements, and notes to the financial statements. 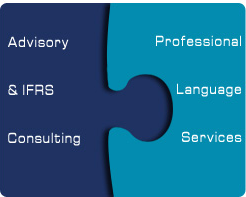 We help prepare a wide and diverse array of calculations necessary in preparation of modern financial reporting. Our role is to work in the background as part of your team, or as a support function for your team. We can assist with some processes regularly (e.g. annually, quarterly, monthly) or we can perform calculations and processes and initiate a subsequent transfer of responsibilities to your staff. Naturally we are well versed in the terminology and accounting processes used by German Commercial Law (HGB), as well as in IFRS, IAS and US GAAP. We are pleased to discuss your reporting issues with you or with your staff and assist you in finding solutions.